Sean Ashton is our Quality Engineer. He’s been part of the DRB family since 2017. Before joining DRB, I served my four year apprenticeship as a CNC milling and turning manufacturing engineer, with a focus on inspection. 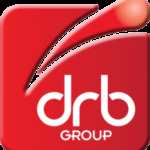 I joined DRB as a Quality Engineer. I support manufacturing operations at both ends of the process: capturing dimensional details to assist the design team with reverse engineering and inspecting jobs before being dispatched to customers. We have a variety of inspection tools including a FaroArm and CMM software. I also work very closely with our major rail industry customers, because of the nature of my role. What are you highlights so far? I love learning and I recently completed my Internal Auditing Course to support my experience. I have also been selected to join DRB’s ’emerging leaders’ training programme to help me develop into a good future leader. I’ve spent a large portion of my life being a volunteer at my local lifeboat station in Flint. As well as saving lives at sea, I’ve learnt a lot and have progressed to trainee Helmsman. I’m a dad to a young daughter and devote most of my free time to her.